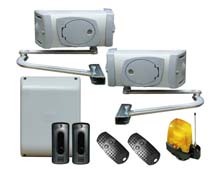 Proforme Above Ground Electric gate automation kits. CAME Ferni (Electromechanical) Articulated Arm Kit. 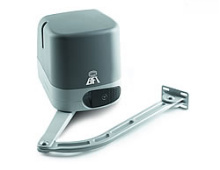 Mechanical motors suitable for domestic and light commercial applications up to 4m each leaf. Mechanical motors suitable for domestic applications up to 2.3m each leaf. 240V & 24v up to 1.8m per leaf. 24v up to 2m per leaf.